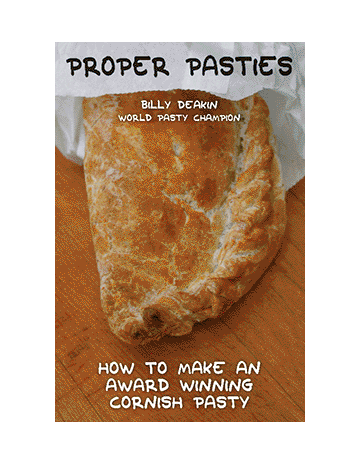 The book is a celebration of the pasty, beginning with its long history from the earliest known recips, right up to the 2012 Pasty Tax scandal and beyond. I also talk in detail about ingredients and techniques, before of course sharing not only my award winning pasty recipe, but also a range of other recipes for traditional and modern, sweet and savoury pasties, and some pies as well, plus tips for getting a perfect crust and the all important crimp. If you like the book, please consider leaving a rating and a short review for my on Amazon, it really would help a lot!